All 22 AT&T coupon codes have been verified and tested today! Valid with DIRECTV + AT&T Internet online. If you love gadgets, you can make sure that you always have the latest and greatest iPhone or Android smartphone from AT&T, with the AT&T Next plan. The plan is simple. You choose either AT&T Next or AT&T Next Every Year. With AT&T Next, your phone’s purchase price is split into 24 monthly payments, and you can trade in your device every 2 years to upgrade to a new phone. The same is true of AT&T Next Every Year, except you’ll be able to trade your smartphone in for credit towards a new phone every year. You can pay off your remaining balance at any time, and you can make an up-front down payment to lower your monthly costs. If you’re a tech fanatic, this program is worth looking into. For low monthly premiums, you’ll be able to always have the latest smartphone. No AT&T promo code needed! AT&T offers competitive rates for old devices, such as the iPhone 6, Galaxy S7, and iPhone 7 Plus. You can trade in your device online by visiting tradein.att.com, or in-person at an AT&T store near you. You’ll be given a quote for the value of your phone. If you like it, you can accept it, and follow the rest of the instructions to get your credit. Your device credit can then be used to go towards the purchase of a new device or wireless plan, allowing you to get the most out of your old smartphone. If you’ve got an older device and you’ve been thinking about upgrading, AT&T makes it easy for you to do so. If you’re a student, you may be able to save on your wireless service with AT&T, and get special promotional deals on handsets and accessories. 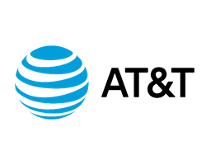 The AT&T Signature Program has partnered with various schools and universities for discounts. Just head to the AT&T website, and Click “Shop,” “Wireless,” and “Check Discount Eligibility” to see if you qualify for special promotions through your university. You don’t even need an AT&T coupon to save. Looking for more savings, and haven’t found an AT&T coupon code to use? If you’re an active member of the military or a veteran, you can get a 25% discount on each line of your AT&T Unlimited &More wireless plan. You can sign up for the discount with your .ml email address, or bring an accepted military ID to an AT&T store near you to start saving. Looking to save even more money? If you subscribe to an AT&T Unlimited Plus plan, you can get 65+ channels from DirecTV Now for just $25 a month, and watch live sports, news, and more without cable – and with no long-term contract. So subscribe now, cancel your cable subscription, and see how much you can save! Found an AT&T promo code you’d like to use? Not sure how? Here’s what you’ll need to do. Using an AT&T code is easy. Just follow these steps, and you’ll save big on devices, wireless accessories and more. You can bundle all of your bills into a single bill, and save. In addition, if you’re thinking about subscribing to one or more of these services, you may be able to build a custom bundle that offers promotional pricing, such as $10 off internet when you subscribe to any TV package, or getting NFL Sunday Ticket when you combine DirecTV + AT&T Unlimited &More Wireless Plans.